There are many reasons for people to become Anorexic. This disease affects the mental state. When people observe themselves in the mirror they dislike their appearance and can feel confident and good only if they lose their weight. Thus, to lose weight they stop eating and restrict themselves from having food. Self-Esteem Issues: The people suffering from self-esteem issues are prone to Anorexia. To get the approval from others, people starve themselves with the thought of people liking them if they get thinner. Pressure In Sports: If you are into habit of playing sports such as gymnastics, ballet and cheer leading you compare yourselves with others and try to get thinner and this can develop Anorexia. Trainers can impose a pressure on you to get into shape, which can develop Anorexia. Personal problems: If people are sad and are in depressing situations like divorce, breakups, deaths, family issues etc. then they want some control on their life, so they try controlling their weight by skipping meals which make them Anorexic. Depression: When people feel lonely especially after breakups they are less prone to have food and are least concerned about their health. Due to this they can have Anorexia. Media: TV shows, Mass media, glamour world, modelling, magazines etc. factors encourage them to become thin. Many girls want to become a professional models so they become Anorexic. People try and follow things that they see in televisions and magazines. Everyone wants to become size zero; they think it is in fashion. For getting thin they avoid having food which makes them Anorexic. 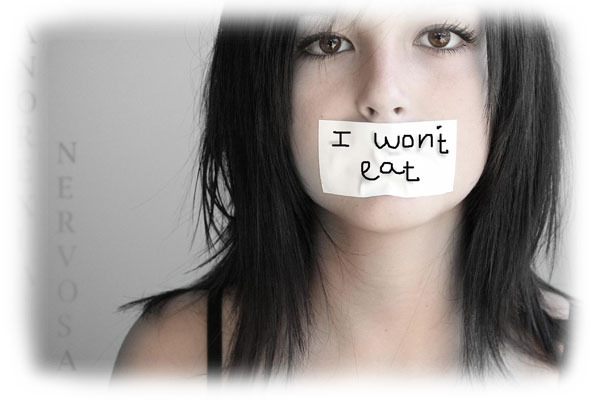 Anorexia is not only seen in teenage girls and guys, it is also observed in the old age men and women. Individual of any age can become Anorexic; but if it is left untreated it can be fatal. If you are not providing your body with sufficient proteins and nutrients your body will slowly shut down and later it can cause failure of organs. If it is not treated on time one can even die. It has become essential to know the causes of the Anorexia so that you can prevent it from becoming too serious. You have to keep check on your diet and your friends who are into modelling field as they can be at risk of developing this not-eating disorder. If you are familiar with such people suffering from Anorexia you can ask them to consult doctor or psychiatrist or professional health consultant. You can talk to the family of the person regarding the health of the sufferer. You have to discuss such things with person suffering from Anorexia as it can be threatening. Those people who suffer from the disease feel shy to ask for help. Many times, suffers do not even admit that they are suffering from Anorexia. If you want to get thin start exercising and try to have balanced diet; not to eat totally is not an option. It will not make you thin, it will help you die. Try and understand the seriousness of the problem to avoid getting ill.
Eat healthy and be happy!